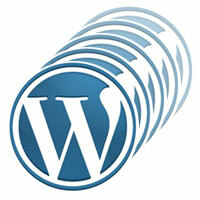 WordPress has famously low-level basic server requirements. However, most projects I deploy—because of plugins I rely on and other aspects—usually need a little more for “ideal” hosting. Someone else used to maintain a really good “ideal” WP requirements page, but it seems to have vanished from their site. I thought I’d start my own, for my reference, to point potential clients to, and maybe of use to others. I’ve deleted the previous post that I just did about running multiple WordPress installations from the same set of core files. Seems it’s a little trickier to get what I wanted than I first thought. If you’re still wanting to plug away at solving this, multipleblogsonasinglewordpressinstallation.com is still very useful. But also check out Ryan McDonnell’s post on the same subject, and read the comments. In my now abandoned post, I did neglect the fact that WordPress was including files based on the ABSPATH constant in my wp-config.php, which I thought I could keep in one place with a switch/case for database settings. Big mistake! But, there were other issues too for me. So, given that 2.7 has auto-upgrade built-in, I’m making the decision to go and fry bigger fish. I might revisit this; if you’re trying, good luck!